Romelu Lukaku wanted a chance to grab his hat-trick. 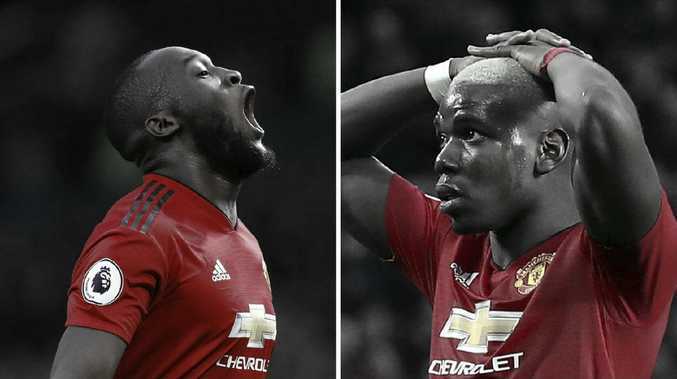 ROMELU Lukaku has had a dramatic bust-up with his Red Devils teammate Paul Pogba. 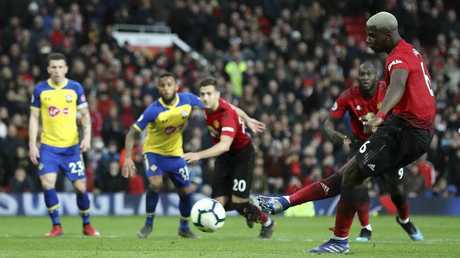 The row came after Pogba denied Lukaku a hat-trick by taking - and missing - a late penalty in Manchester United's victory over Southampton on Saturday, The Sun revealed. In-form striker Lukaku told Pogba that he would have let him take the kick if the roles had been reversed. Pogba replied that as the usual kicker he had every right to take it. Lukaku even cited Mo Salah allowing Roberto Firmino to take Liverpool's second penalty in a 5-1 destruction of Arsenal on December 29 so he could complete his hat-trick. A United source said: "It was quite a stern conversation and Romelu was clearly not happy about what Pogba had done. "He was quick to remind Paul how much he had helped him when he fell out with Mourinho. "It needed Ole to calm the situation down." Boss Solskjaer broke it up and told the pair, who had holidayed together in LA, to put it behind them. With Paris Saint-Germain in the Champions League tomorrow and Arsenal away on Sunday, Solskjaer reminded everyone they could not have any tensions on or off the pitch.